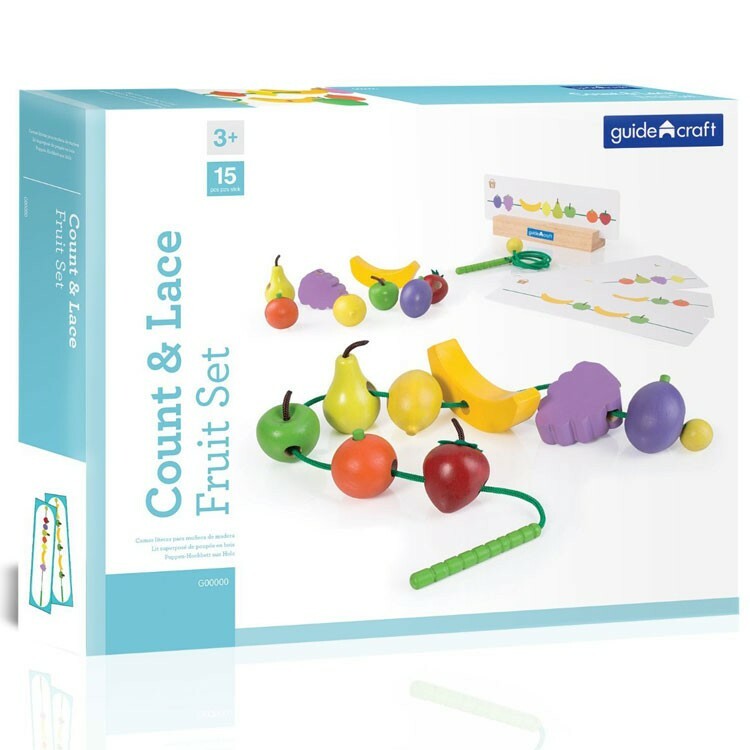 Count, sequence, learn patterns, lace and pretend play with this yummy fruit manipulative set from Guidecraft! 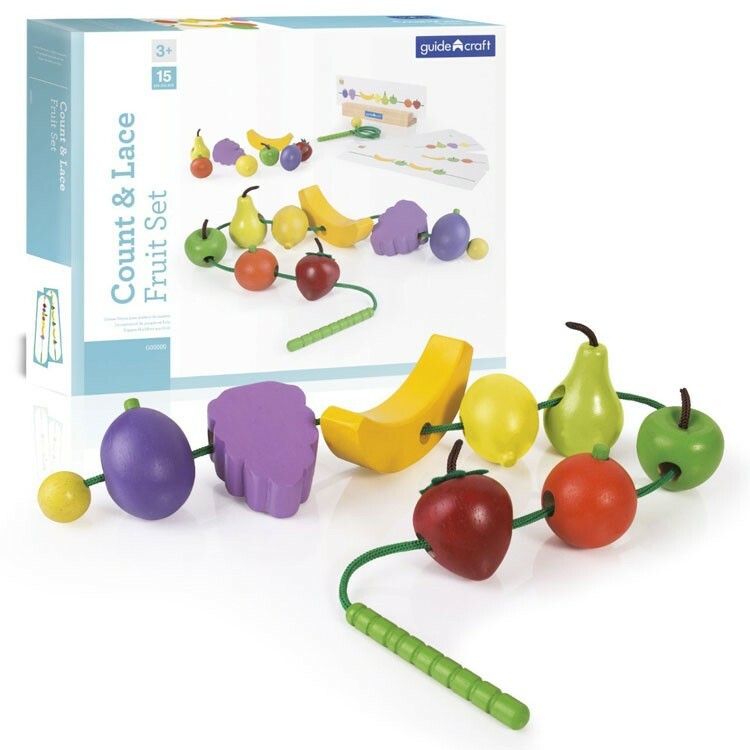 Your child can practice manipulative skills, counting, patterns and shapes, and enjoy pretend play with this new colorful set of lacing fruit. 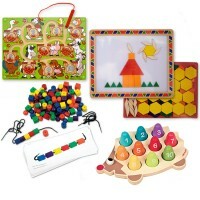 Count and Lace Fruit Preschool Learning Toy is a high quality wooden toy set by Guidecraft. 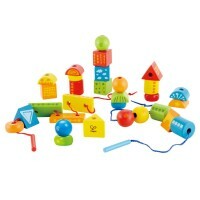 This cute play fruit set comes with 24 pieces of fruit that can be thread on 2 long laces. 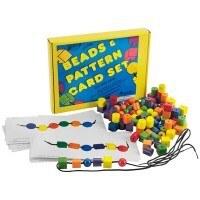 Each lace has a wooden caterpillar threader and bead stopper to make the manipulative activity easier to perform for the little hands. 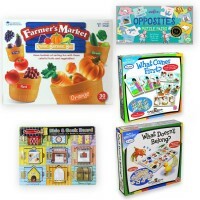 Count and Lace Fruit Preschool Learning Toy includes 10 activity cards with fruit patterns. 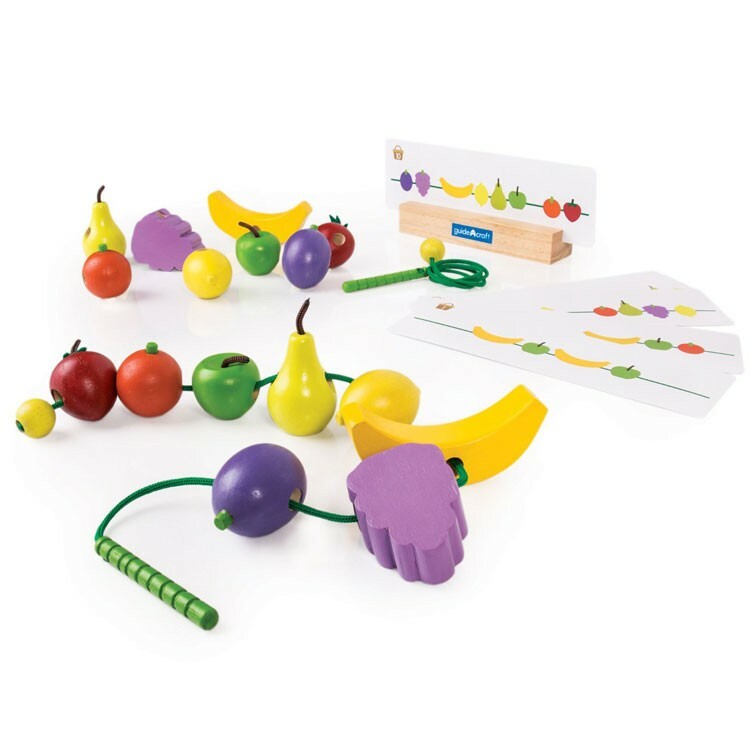 Kids can lace fruit in sequences, use the wooden shapes as counters, or create their own fruit necklace - manipulative fun is guaranteed. This set of lacing fruit from Educational Toys Planet will work great for your child's play a grocery store game, too. 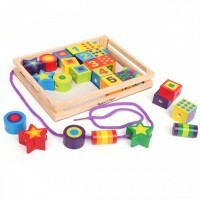 Fruit pieces and caterpillars from this manipulative set are made of rubber wood for durability, and long laces are made of sturdy polyester. 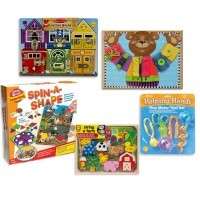 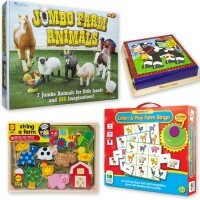 Count, sequence, lace and play with this yummy manipulative set! 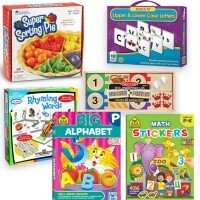 Dimensions of package 3" x 2.5" x 8"
Write your own review of Count and Lace Fruit Preschool Learning Toy. 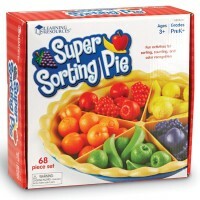 Rating: 5 by Emily, MO They are very helpful to entertain our Clients in our waiting room and various classes.